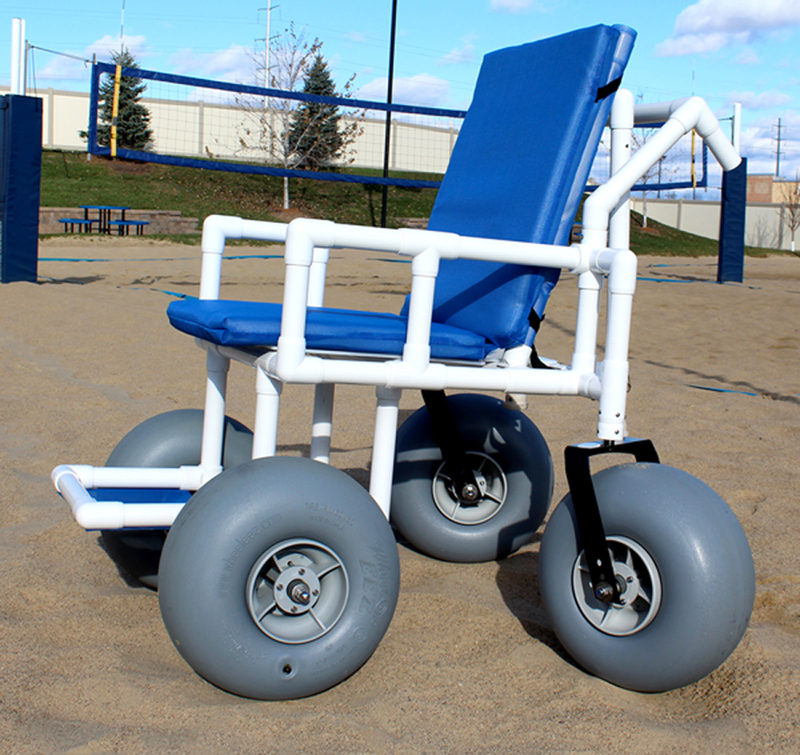 VIP Solutions, LLC is the sole manufacturer of the AquaTrek2 product line. 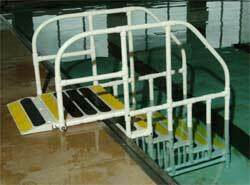 Our custom manufactured swimming pool access products include the AquaTrek2 pool Step, AquaTrek2 pool Ladder, AquaTrek2 Transfer System, AquaTrek2 pool Ramp, AquaTrek2 Transfer Platform and the AquaTrek2 Aquatic Wheelchair family. 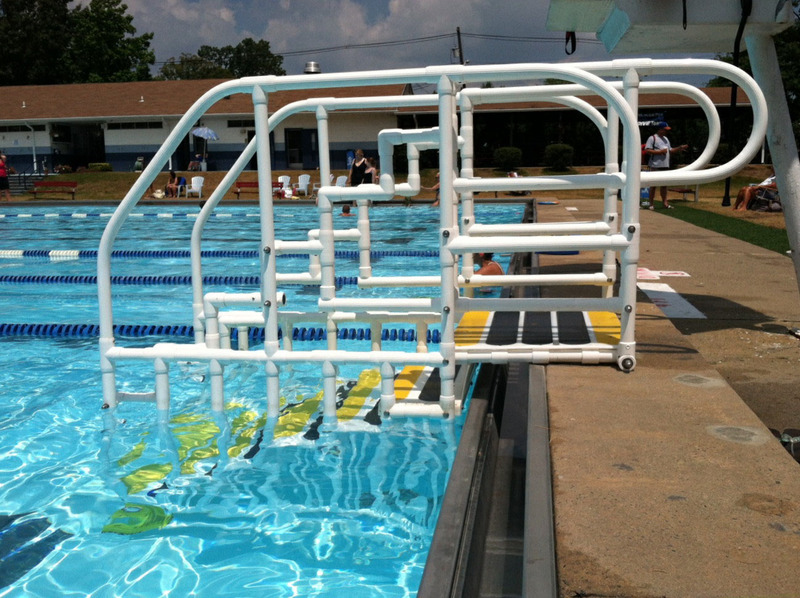 Our removable and portable pool access products help facilities offer competitive, therapeutic and recreational aquatic programming. Remove several times a day, everyday or only when needed. Provide patrons of all abilities a simple and practical means of forward-walking entry and exit. 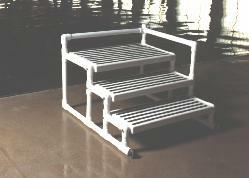 AquaTrek2 aquatic access products are backed by national dealer representation. We have over 100 dealers nationwide representing all 50 states, Canada, and over-seas that carry AquaTrek aquatic access products with pride. 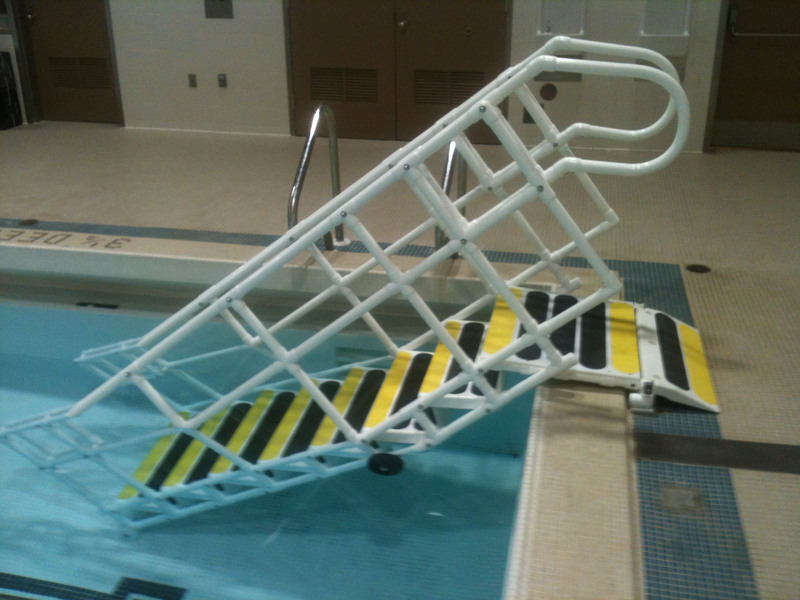 Each AquaTrek2 pool Ladder, pool Steps, Transfer System and pool Ramp is custom-built using your pools own measurements to create a perfect fit. Units can be fitted over existing pool steps and benches as well as an extensive variety of gutter styles and pool profiles. 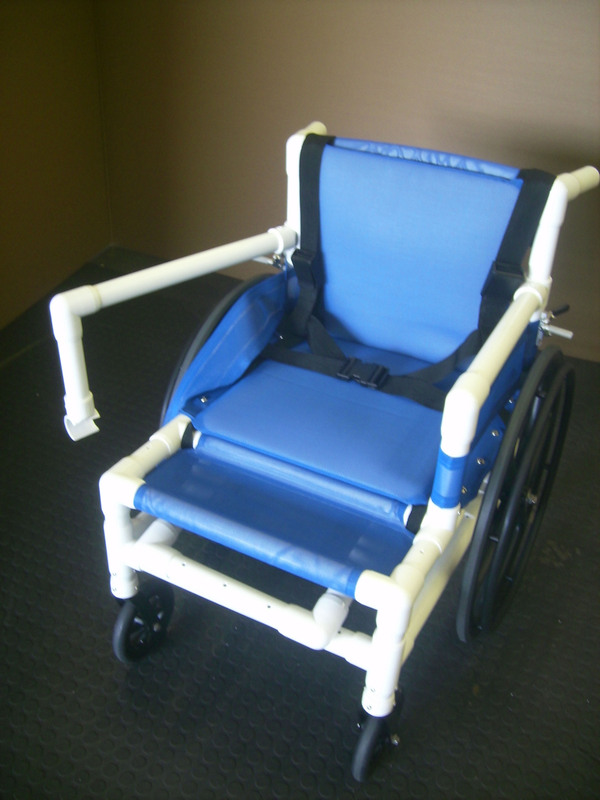 Several of our products can be produced to meet ADA requirement guidelines. 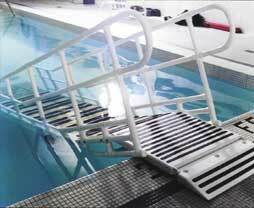 AquaTrek2 swimming pool access systems are rated for a 600 lb. user weight capacity. 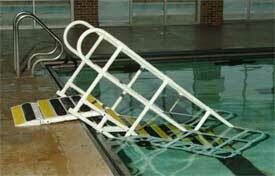 Heavy duty models of the AquaTrek2 pool Ladder and AquaTrek2 pool Step are available to exceed the 600 lb. capacity. 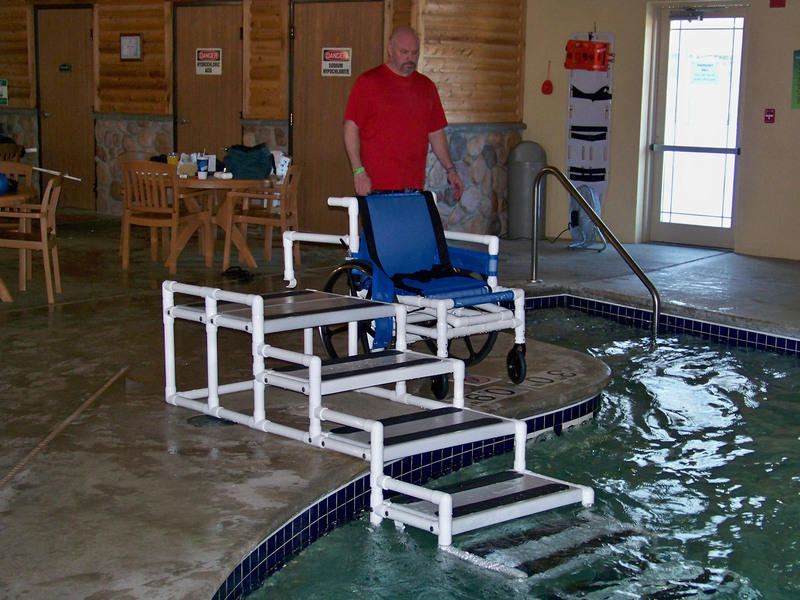 Therapeutic distances between the steps can be customized to the needs of each facility. All customizations are included in our purchase price. All AquaTrek2 products come with a complete, one-year warranty. VIP Solutions builds each system with a standard for product quality that will exceed our warranty. Improved access means increased number of clients using your facility. AquaTrek2 is ranked as a top quality product and continues to set the standard in the removable swimming pool access industry. Our organization was founded with the goal of providing personalized, cost effective solutions for swimming pools to offer better access. Our custom products ensure a superior fit in each facility that utilizes our service. VIP Solutions, LLC and AquaTrek2 pool products have built a reputation as the “Best in the Industry”; exemplified by our testimonials. Give your clients the quality they demand.